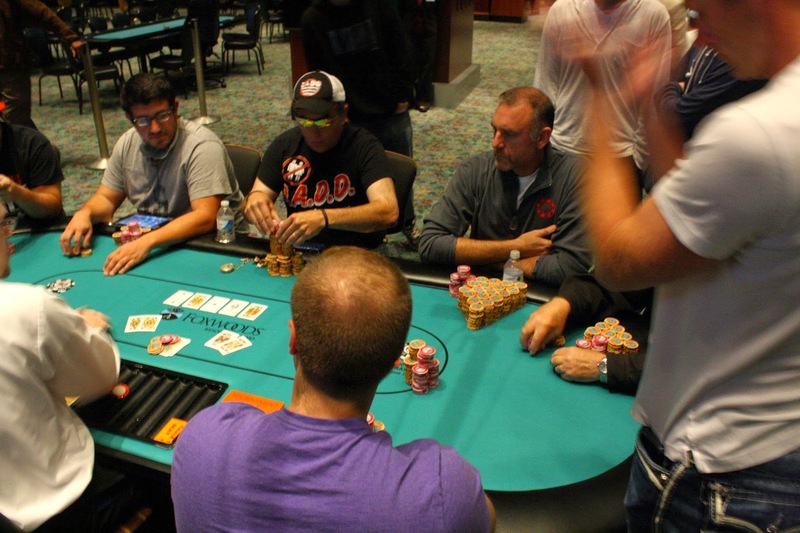 With the elimination of our 19th place finisher, the WSOP Circuit Main Event is down to the final two tables. 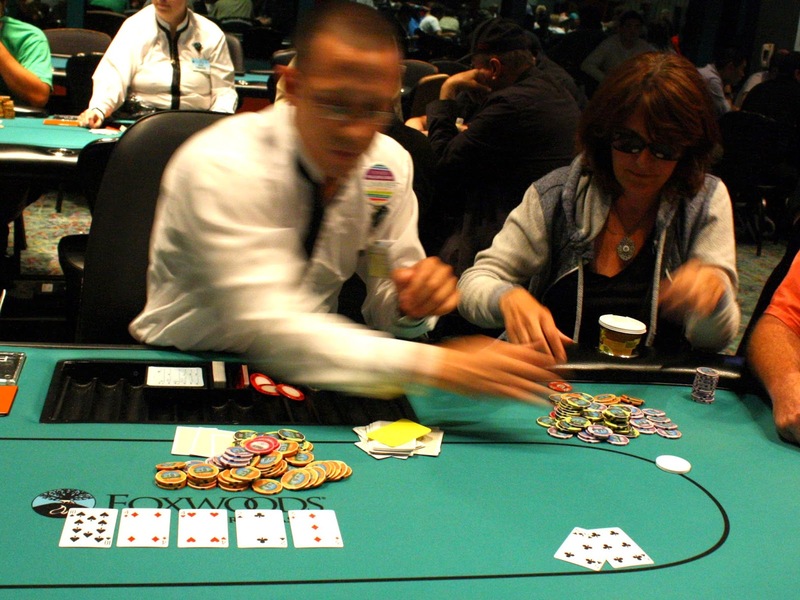 The clock has been paused at 25:26 while the final 18 redraw for seats at the final two tables. 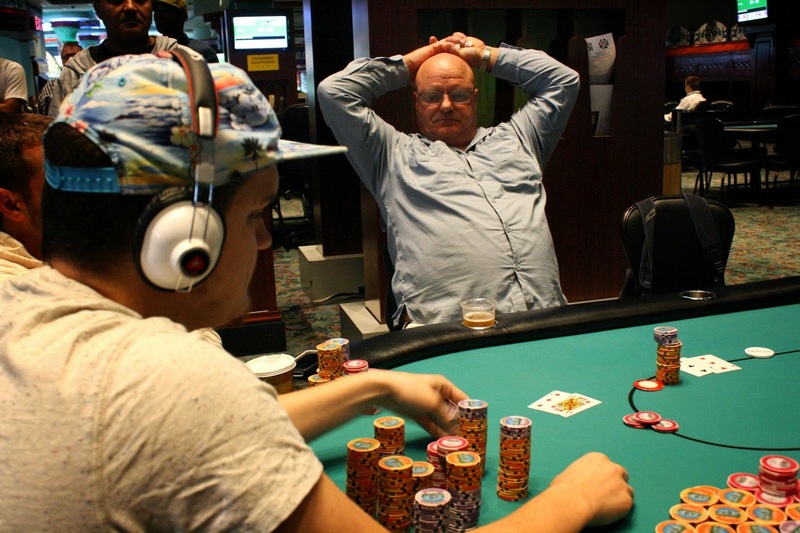 There are 11 players left in Event #11 $365 NLH and they have just returned from break. The field is now playing 3,000/6,000 blinds with a 1,000 ante. Randal Sklar is alive and fighting with a short stack. He currently sits on 28,000. 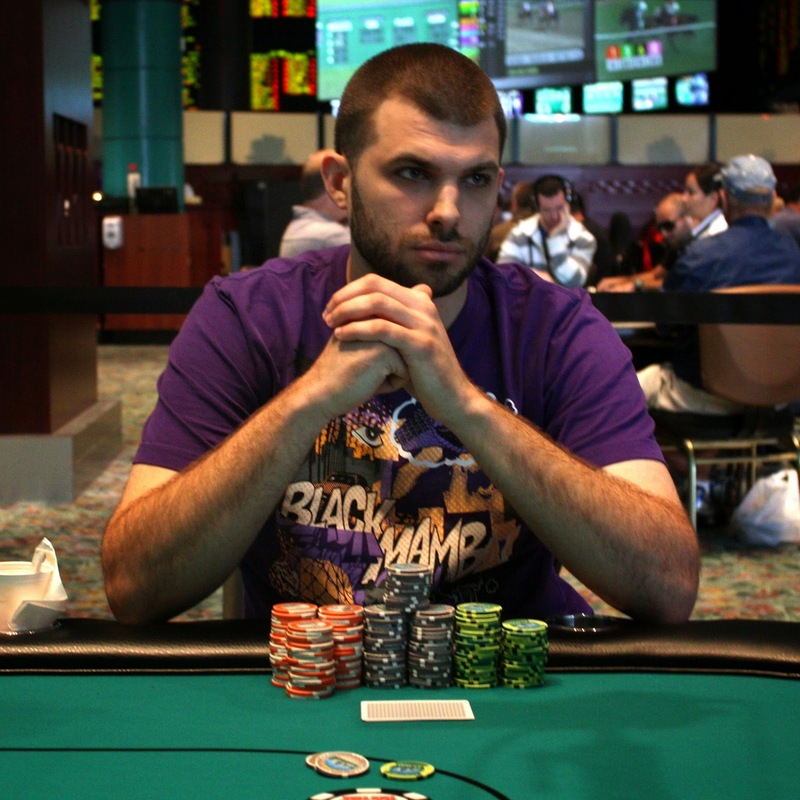 If Randal makes the final table he will take the lead in the WSOPC Casino Champion points race. 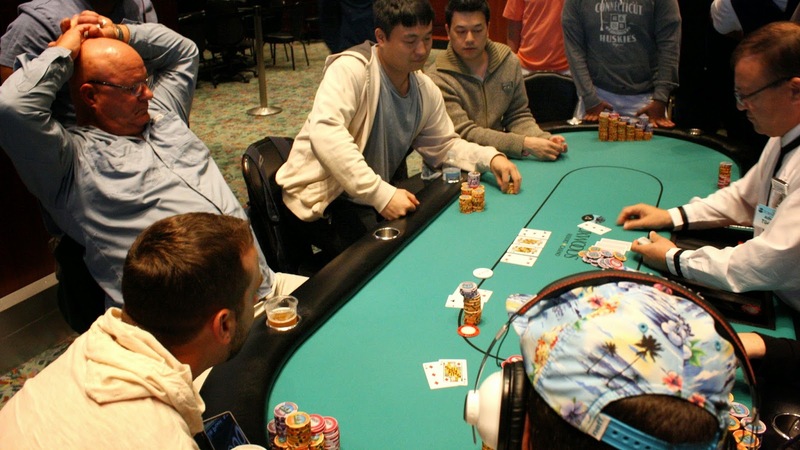 "Action out of turn may be binding"
A floor had to be called to the feature table for a slight controversy... here's what happened: It was Lucas Picking's action, and the next player to act didn't realize and attempted to raise. Lucas moved all in, and the ruling was made that the raise could be pulled back. 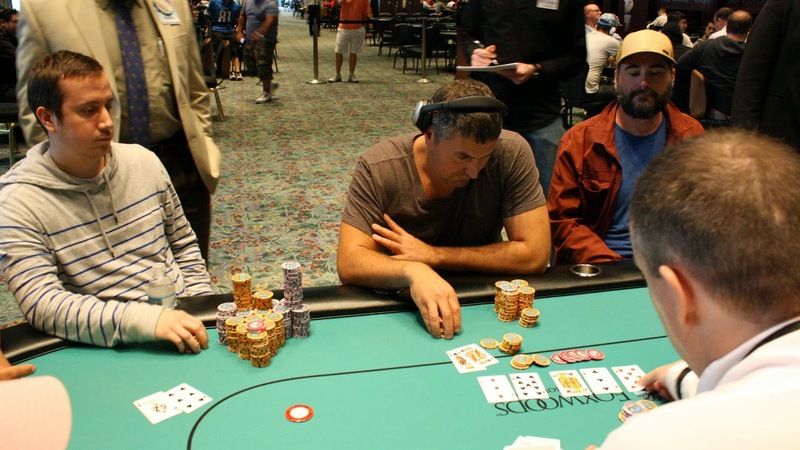 That player was confused as to what his options are, and it was reaffirmed that he could indeed pull back his chips. He elected to do so and fold his hand, and the rest of the table folded around. Lucas survived this hand, but was eliminated a few hands after the redraw. 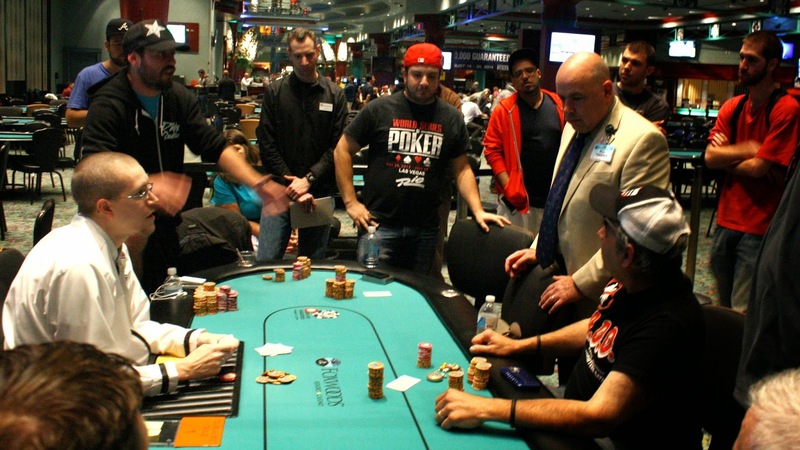 The clock is paused as the final 27 players are redrawing for seats at the final 3 tables. After a raise and a three bet by Mike Quibble, Theodore Driscoll made the call as well as the original raiser. 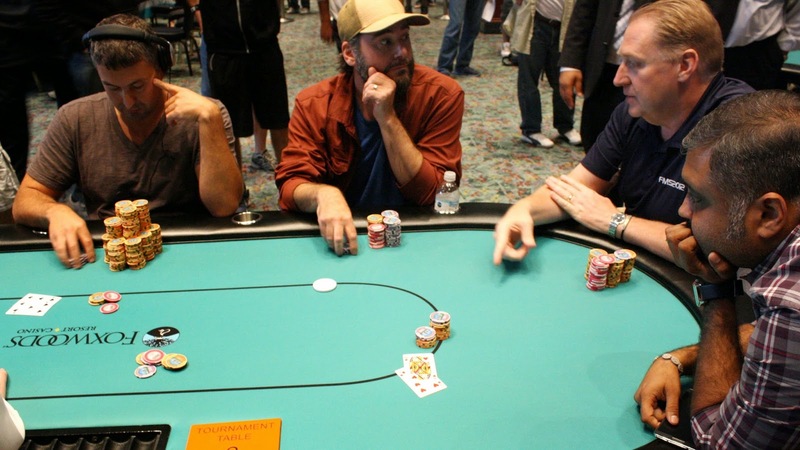 The three saw a [Kd][Ts][Jc] flop, and Mike Quibble made a bet before Theodore moved all in. The third opponent folded and Mike said he could not get away from his hand, and called, tabling [Ad][Ac]. Driscoll was behind, but had a fair number of outs, with his [Ks][Qs]. Theodore picked up even more outs on the [2s] turn, but missed his draw when the [4c] hit the river. 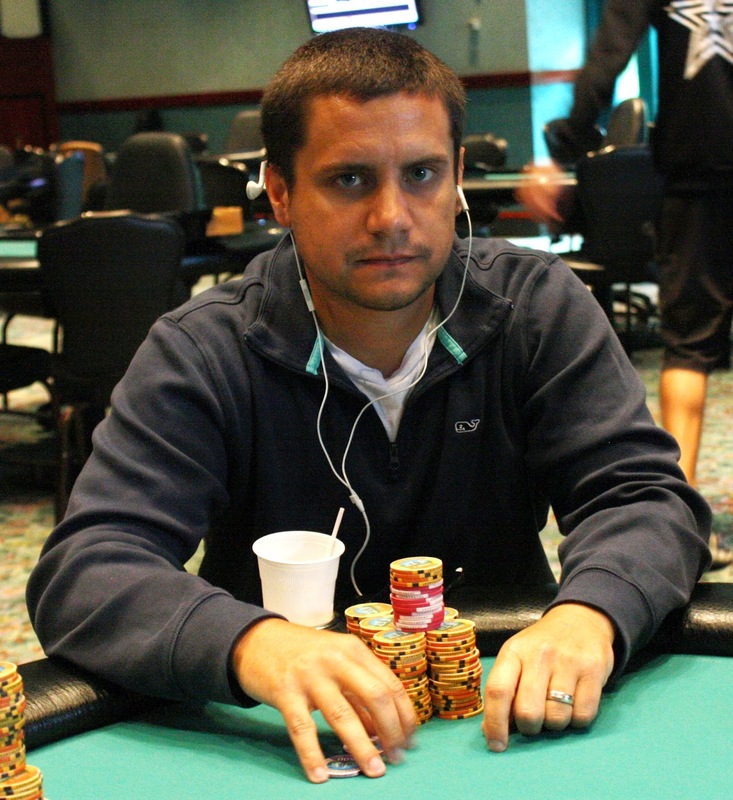 Theodore will exit the WSOP Circuit Main Event in 31st place, good for $4,112. 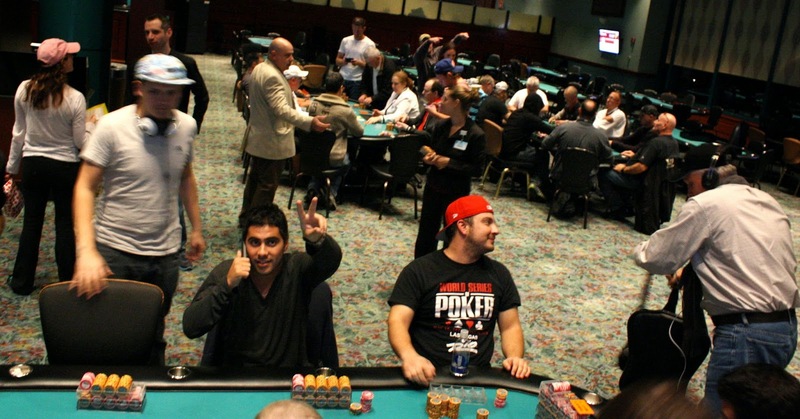 The 38 remaining players in the WSOP Circuit Main Event are now on break. 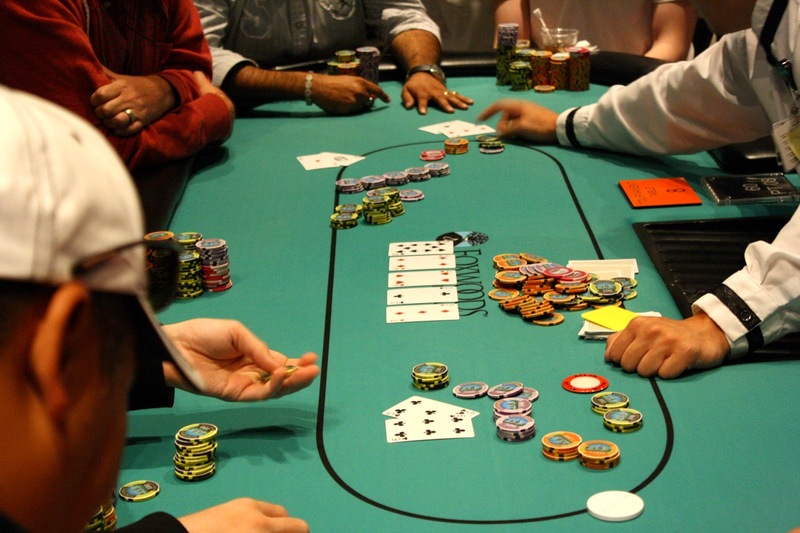 When they return, blinds will be 6,000/12,000 with a 2,000 ante. 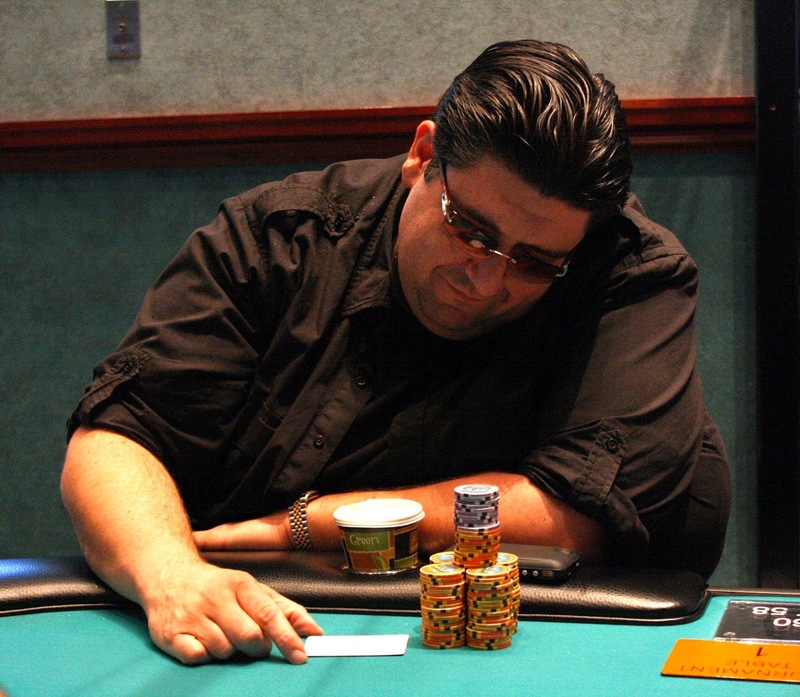 With the elimination of our 19th place finisher the final two tables are set in Event #11 $365 NLH. 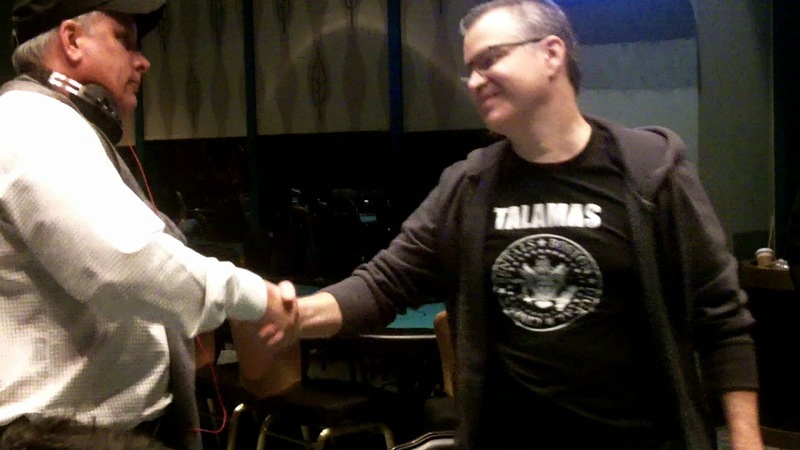 We had a huge clash at the feature table when one player's [Qd][Qc] ran into another Greg White's [Ks][Kh]. Greg was all in preflop for 317,000, and he had a sweat with a lot of paint on the [2h][Jh][Ac][As][Jc] board. 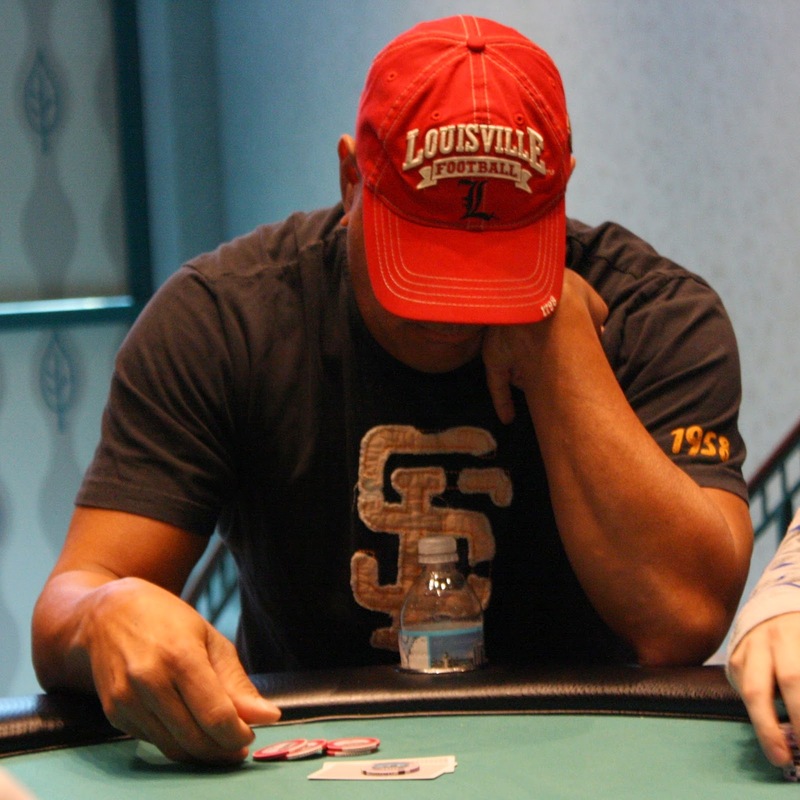 Greg will double up and now sits on almost 70 big blinds with 36 players remaining. The pocket queens would hold through a [8h][9s][5d][5s][Ts] runout, and the field is now two players lighter. 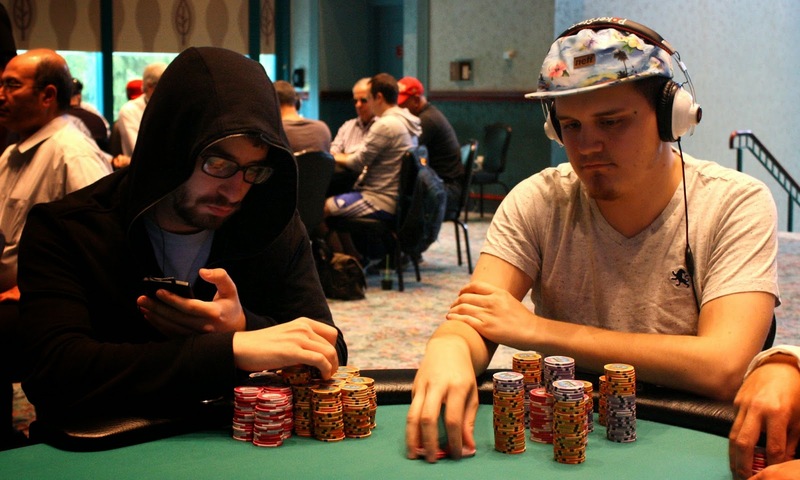 As the Main Event plays on, Event #11 is down to 24 players. 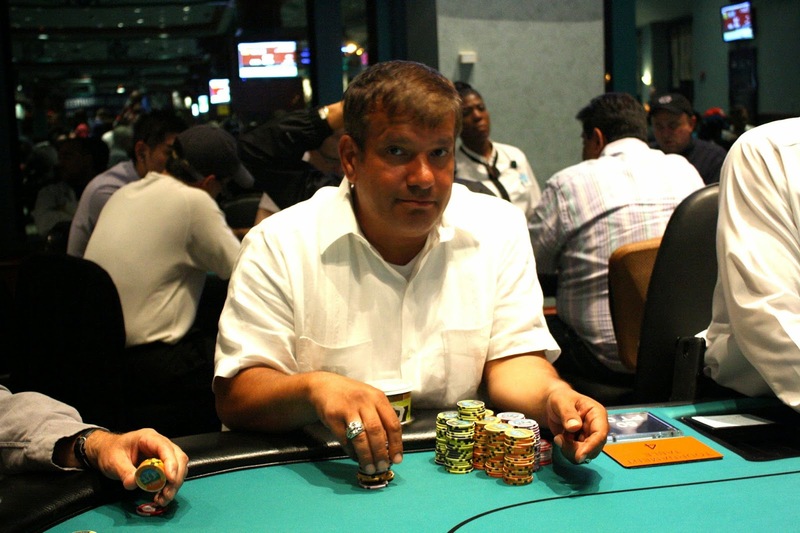 Still alive is Event #9 winner Randal Sklar, who currently sits on a stack of around 90,000 at 1,200/2,400 blinds. 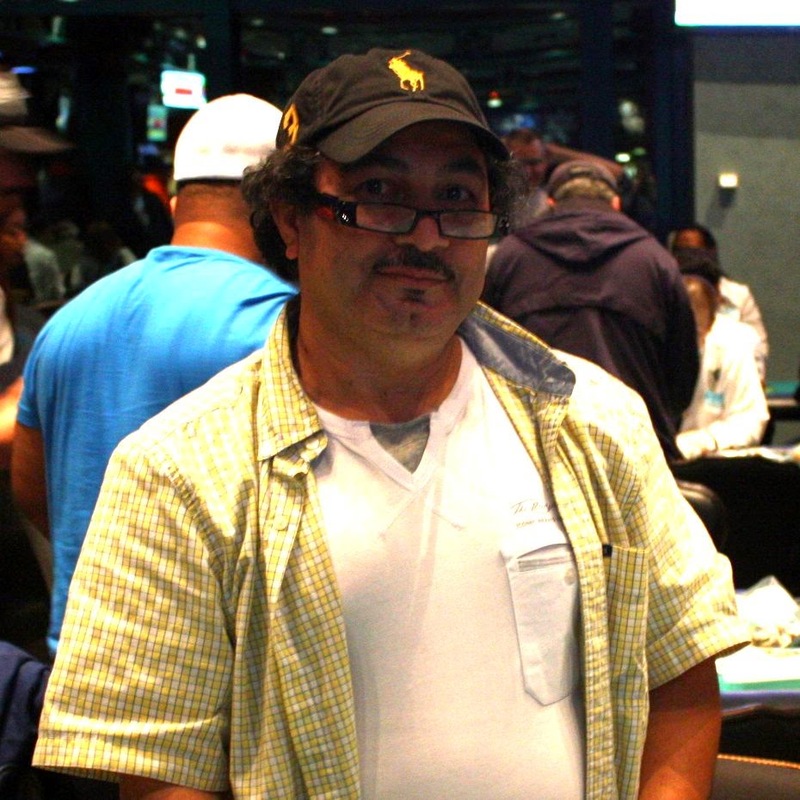 Randal is 2nd in points for the WSOP Foxwoods Casino Champion and will need a final table finish to put him ahead of 1st place points earner James Watt. Play has resumed in the Main Event, and all 54 players that made the money are still in the hunt. An announcement has been made that they will play 5 more levels before bagging up their chips for the night, putting end of day at approximately 1am EST. You can watch the featured table at www.FoxwoodsLive.com. 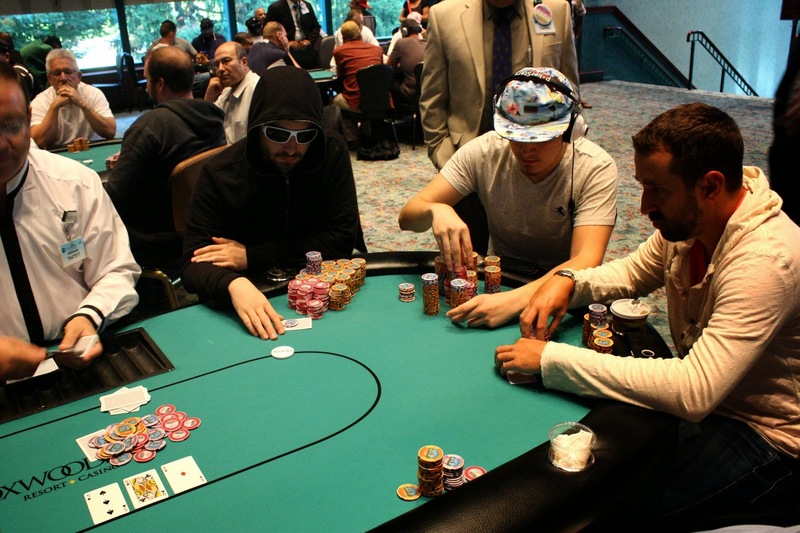 The action was halted as there was an all in and a call on another table. Eventually, the flop was dealt, and it was [9c][2c][5h]. The big blind was a 79% favorite to survive the all in, but that all changed when the [5d] hit the turn. Now the big blind would need one of the two remaining nines in the deck to survive. It was not to be as the [Ad] hit the river, eliminating the big blind on the bubble. At the other table, the all in player had [3h][3c] against [Jd][7d] and fell behind on the [4h][Qs][Jh] flop. The [5s] turn was no help but the magical [3s] river saved earned him half of a mincash. Currently 59 players remain in Event #10: $1,675 WSOP-C Main Event. 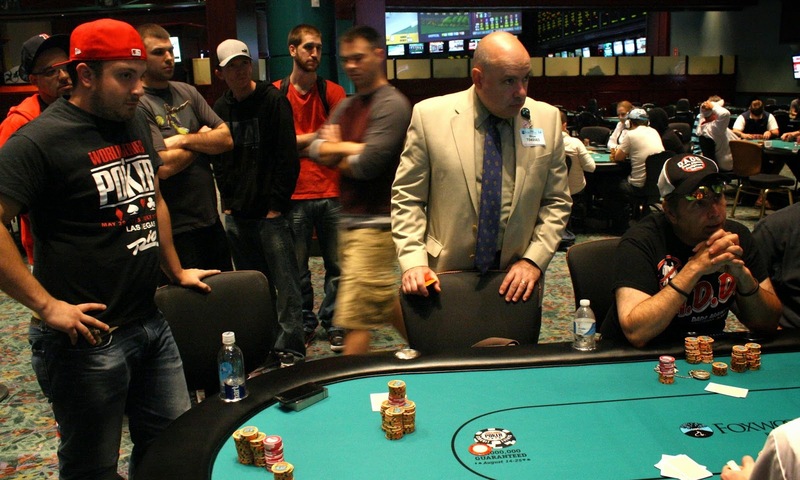 With the top 54 players making the money, the bubble is nearing. There is still 48 minutes left in Level 19, 3,000/6,000 blinds with a 1,000 ante. At the end of this level, players will be on a one hour dinner break. It looks as if both Billy Pappas and Michael Exposition, the two November Niners in the field, have both been eliminated on Day 2. Spiro Mitrokostas has also been eliminated. Day 2 @FoxwoodsPoker circuit main. My #intention is to bag a healthy stack and wear a politically charged graphic tee at the FT tomorrow. Just bought back in the @FoxwoodsPoker wsopc main last 10 min #due #nogamblenofuture..
Players in the $1,675 WSOPC Main Event are now on their first break of Day 2. The tournament staff are coloring up and racing off the 100 chips. When they return, blinds will be 1,500/3,000 with a 500 ante. 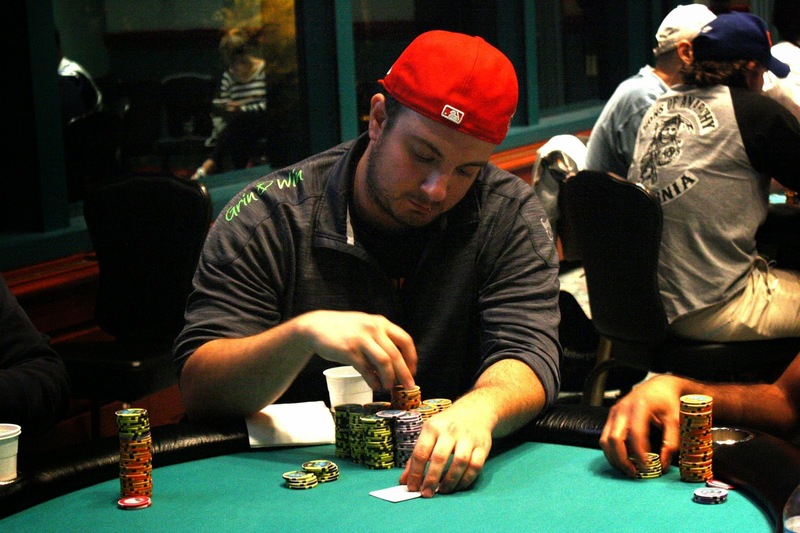 Nick Palma came by the featured table to tell his friend that he has been eliminated on the second hand of play today. Cards are in the air for Event #11 $365 NLH. 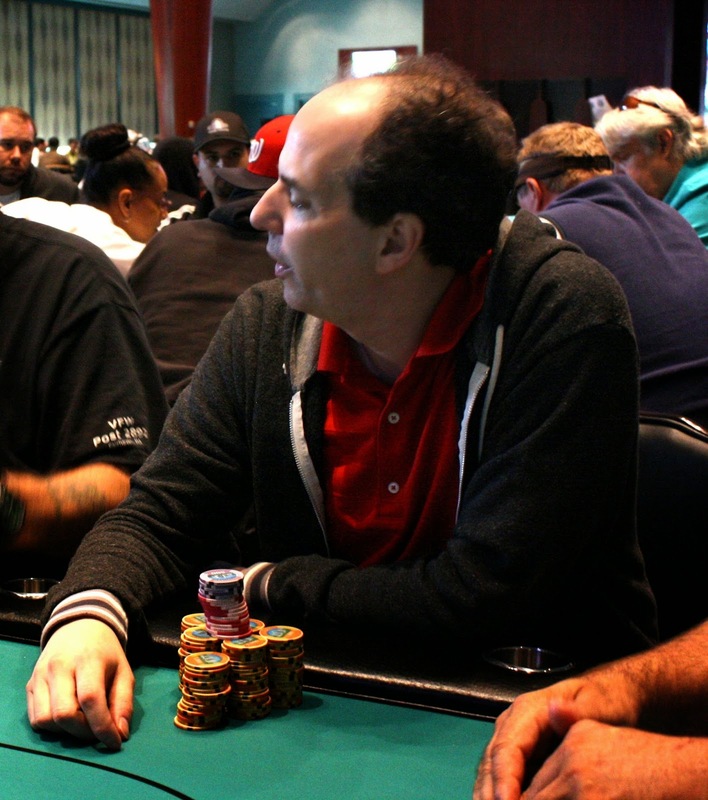 This tournament features a 10,000 starting stack and 6 levels of registration. Full structure is available here. At 12pm, the $1,675 WSOP Circuit Main Event will resume, with remaining players from Flight A & B combining into one field. The plan is to play 13 levels today. 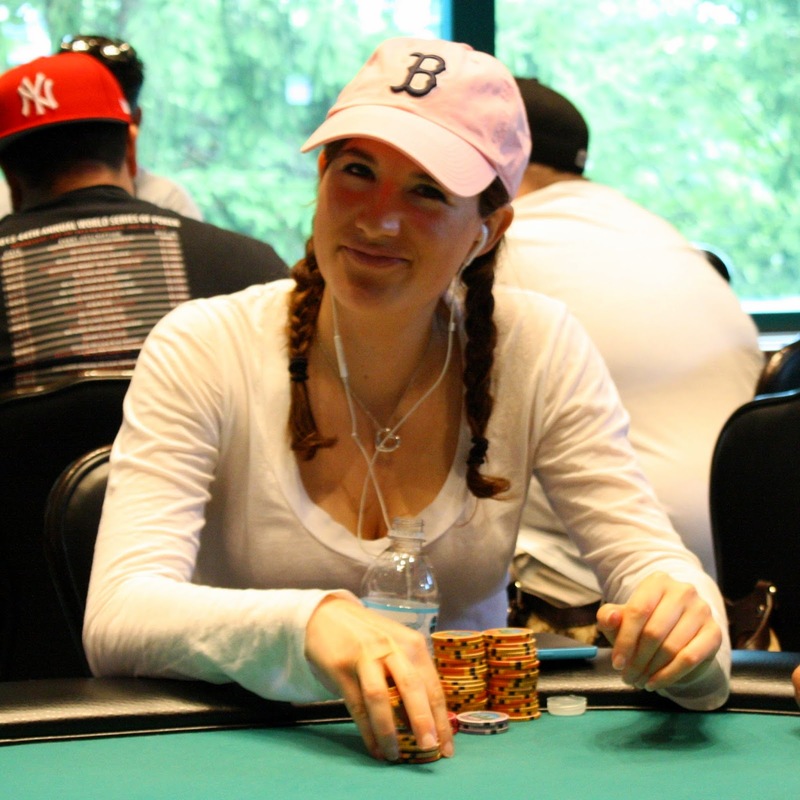 Only a few players in the room have over 100,000 so far, and Georgette K has just joined that group. She was all in on a [3d][2c][4h] flop holding the nuts with [6c][5c] against another player's [As][Ad] and another player's [Ac][3h]. She was almost a lock to win the hand until the [4d] turn opened up five outs against her. The river was the [Ts], and Georgette was pushed a monster pot. After stacking her chips for the next three hands, it was determined that Georgette won approximately 105,000 in that pot.